Holistic treatments administered by a certified healer. Reiki sessions are easy, non-invasive and complete, with profound and lasting benefits. 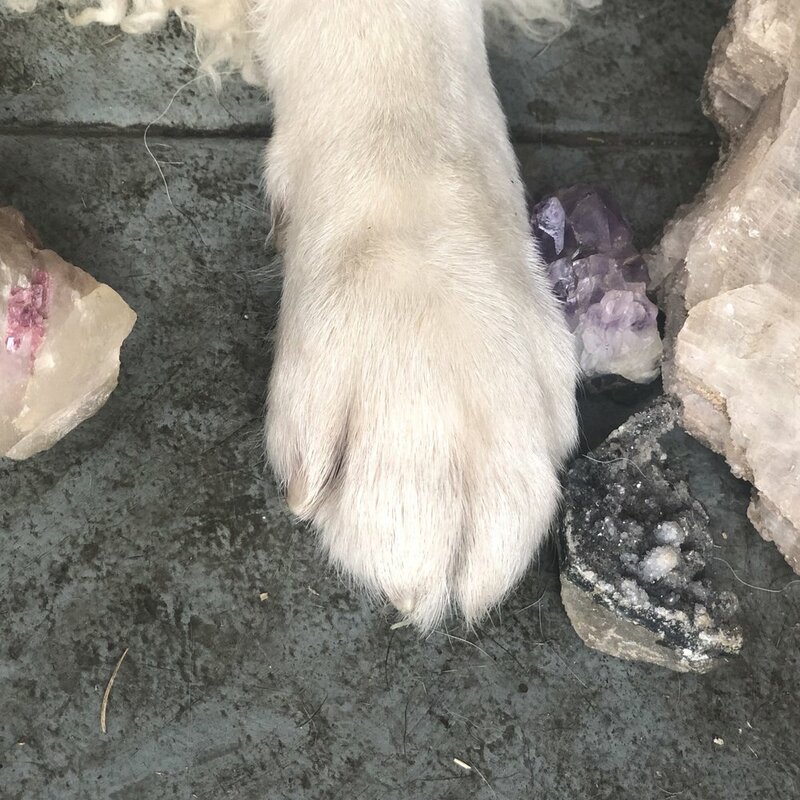 Soothe and support pup naturally with the ancient healing technique of Reiki! Reiki practitioners have received the legacy of knowledge and sacred attunements from ancient masters. Mindful channeling of universal energy provides access to harmony and restores balance. Competent Pup’s DISTANCE REIKI sessions are performed anytime, anywhere, for ultimate convenience. Pup and parent couples can participate in simultaneous treatments with PUPPLES DISTANCE REIKI for joint spirit tszujing! REIKI + ZEN ALL DAY combines any luxurious PUPSITTING stay with healing treatments, to soothe pup - mind, body, spirit. Includes energy work and Reiki, paired with aromatherapy and healing frequencies. Peace of mind is a peaceful pup! In a distance Reiki session, the work is performed by the practitioner remotely. Most of our remote Reiki sessions last approximately 30min. Competent Pup Remote Reiki sessions can be performed remotely at anytime, from anywhere, at your convenience! If possible, it is recommended to provide a quiet, nurturing space where your animal may relax and experience the treatment. The effects of Reiki are immediate but may manifest in different ways throughout and after treatment sessions. As pups process the benefits and opportunities from Reiki, there may be the need for extra downtime or water. Being open to all possible outcomes will have added potential for the recipient. Lastly, don’t forget to relax and enjoy the benefits created by your love and care! Remote Reiki session for pup. Remote Reiki session for pup and parent together! Reiki and energy work paired with aromatherapy and healing frequencies.